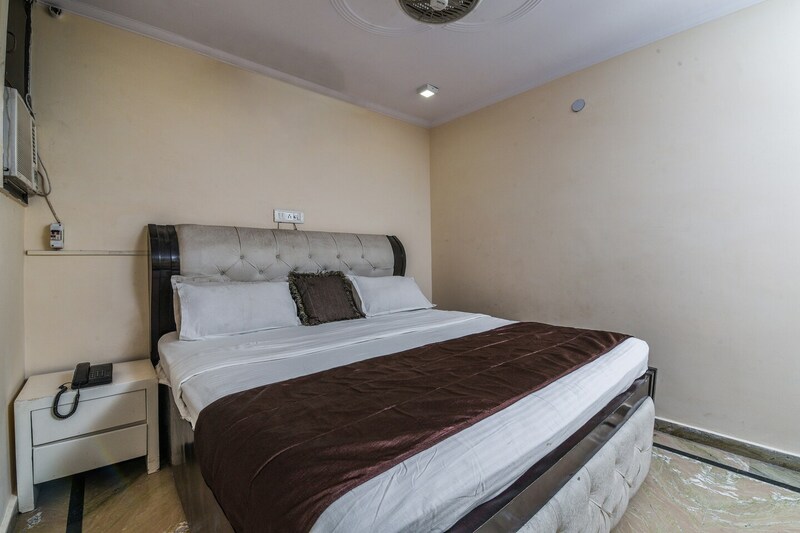 Hotel Grand Inn is a budget property with comfortable rooms, in New Chaukhandi, on Outer Ring Road, in Delhi. Tourist spots that are not far from here include Nihal Vihar Park, Raj Park, Japani Park, Dilli Haat etc. The hotel has a cosy living space done up in warm tones. The rooms are minimalistic, equipped with modern furniture and are neat. The bathrooms are hygienic and modern. Each room features AC, TV, and free Wi-Fi. The hotel also provides power backup round the clock, and has CCTV cameras installed for the security of guests. Eateries available in the close vicinity of the property include Harman Di Hatti, Bake Hub, Healthy Chulha, Roti N Boti and Radha Swami Cool Hut.